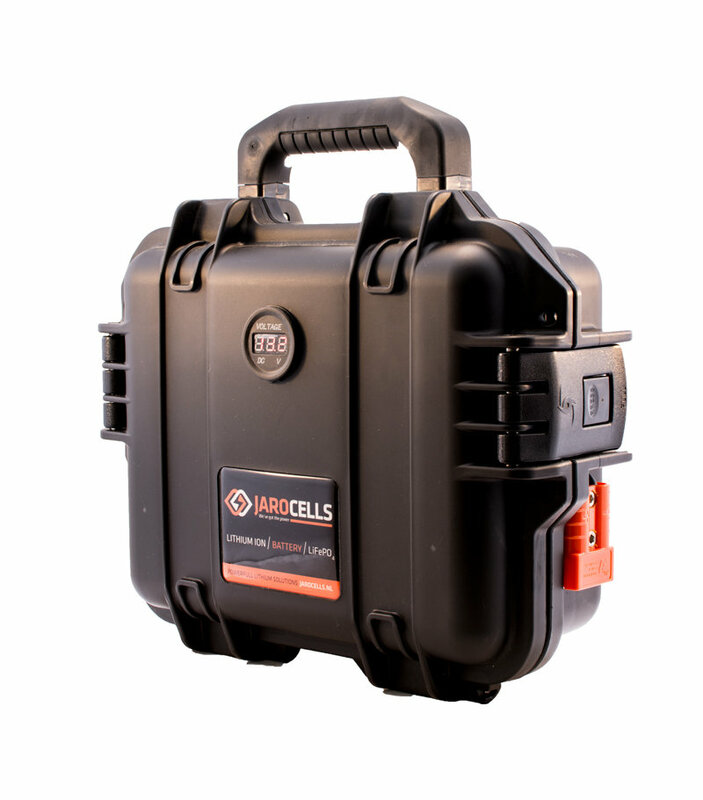 The JAROCELLS portable lithium case has been developed for easy charging your smartphone and tablet when you don't have 220v available. This 20Ah version has a lithium battery which can be compared with a 40Ah acid battery. The 20Ah version can also be used for powering your electro motor max 30lbs (Minnkota). This light weight version, only 4,5kg is very populair with anglers. Most anglers use this one in their bivy to charge laptops, power a light source and more. With the special JAROCELLS App for Android and iOS you can read the status of this portable lithium case, so you will always know how much power you have left.